Finally its here! Booking Photography and Videography has never been easier! We are now live on our Booking System and its all FREE! 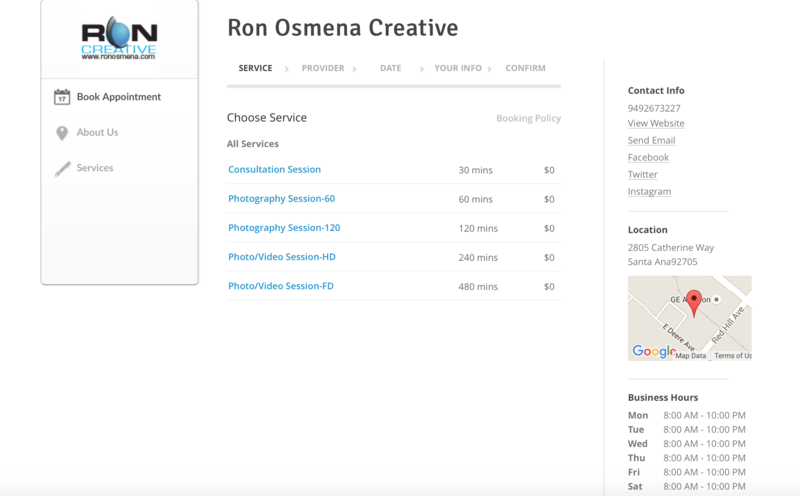 This system helps you pickout a date and time to book your Photography, Videography and other Creative session with us! Remember its all FREE and no obligation! We are Orange County Photographer, Orange County Videographer with a 13,000sqft studio located in the heart of Orange County California but we also offer On Location Photography and On Location Videography. Take advantage of our FREE Consultation. Visit our Booking Photography and Videography System now! Make sure you contact us for more information.